The Fall house tour continues… I recently showed you guys my kitchen and family room, now it’s time for our entry foyer! 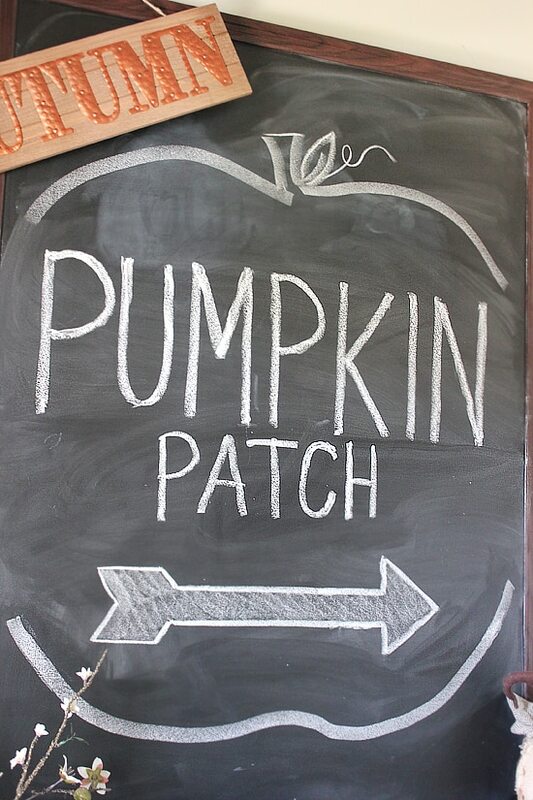 Nothing too crazy this year, just lots of pumpkins and updated chalkboard art. As I mentioned before, I absolutely love filling my home with pumpkins because they fit with my Fall décor from September to November. The little orange ones are from Hobby Lobby ($1 spray ones with the stems cut off) and the larger one is from HomeGoods. Of course I had to add a printable to the decorations! 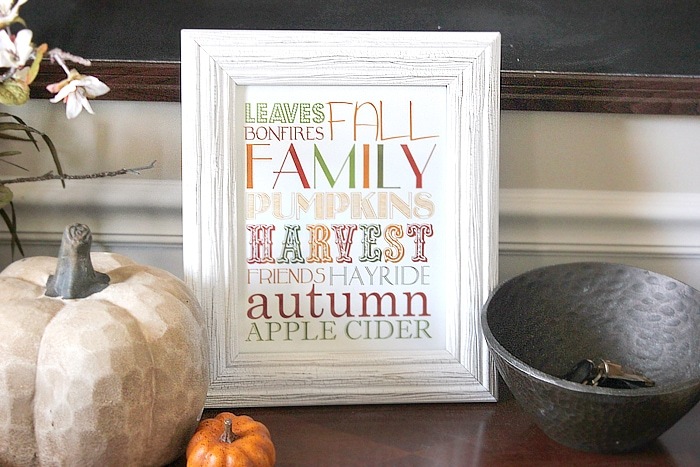 I pulled this Fall Subway Art Printable from my archives since it’s still one of my favorites. You can download it for free HERE. On the far right of the foyer console is a large fabric set of pumpkins that I scored from Gordman’s. I have to admit they had an amazing selection of Fall décor this year! 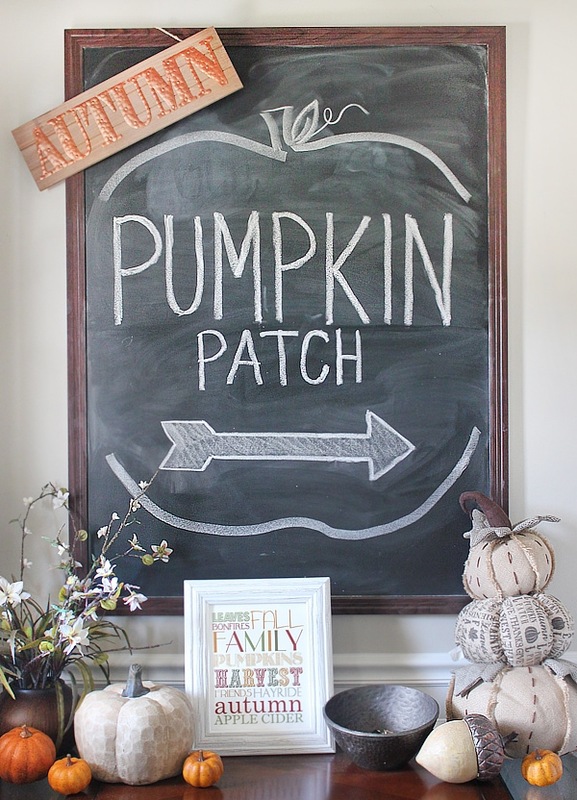 I decided to freehand the chalkboard artwork this time around, something simple and to go with my pumpkin theme. “Pumpkin Patch” seemed like a good fit, and I surrounded it with a large outline of a pumpkin. Super easy! Overall I’m loving the look of the foyer and especially loving that it was cheap to decorate this year! I think the last place I need to show you guys on my Fall House Tour is the front porch. Stay tuned! 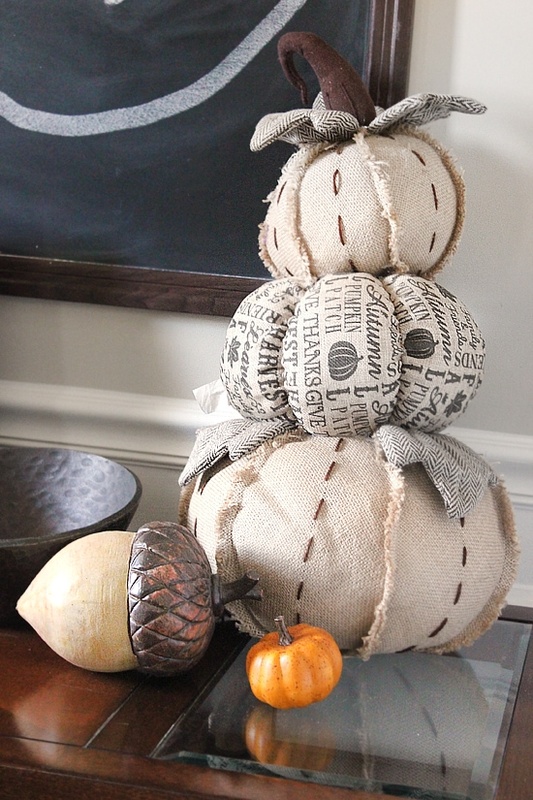 And see ALL of my Fall projects HERE! 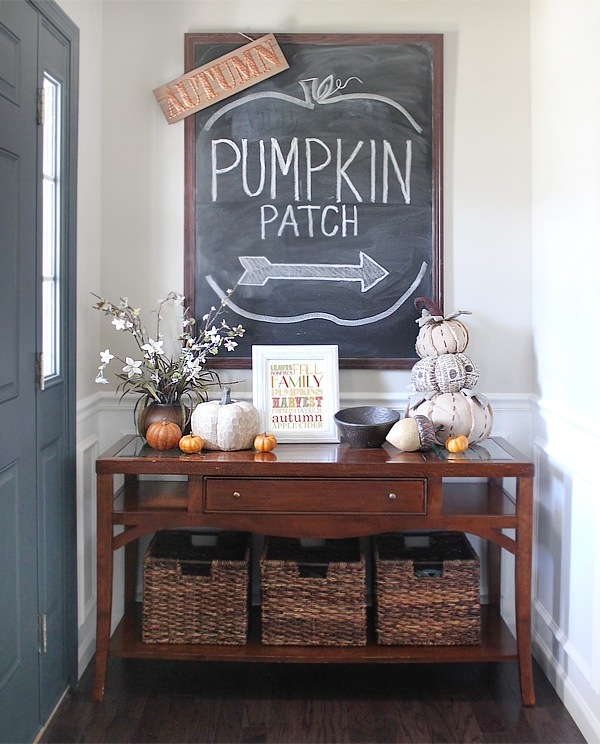 Love your fall foyer, so pretty! This is my “PUMPKIN PATCH”! Thanks a lot!! OH MY WORD! You did an awesome job!!! Love your fall entry. I hope you’ll link it up to our Monday Social Party. 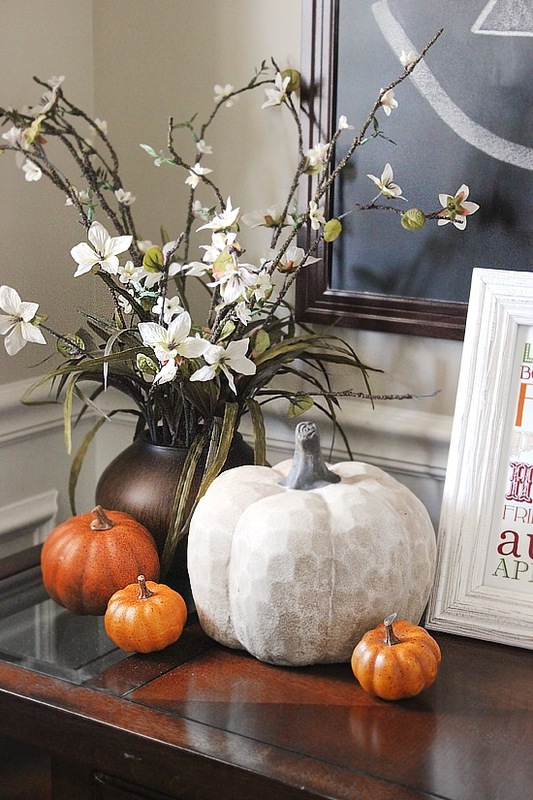 Love your fall entry table. So cute! I am been loving your fall tour series!!! You have the best style! I really love it. One thing that I like is that you’ve added in a little fall color (orange). Although, the cream tones are beautiful, a little color goes a long way to make a cozy statement.